Bokeh is a photography term used to describe areas of a photo that are not quite in focus. To obtain this blurred look, your photographer places a special filter on his or her lens. 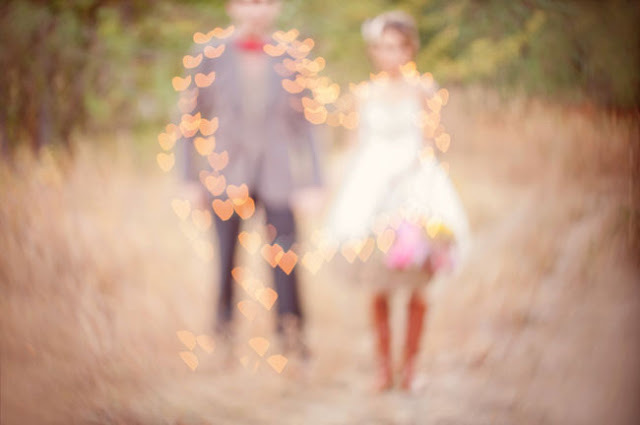 Bokehs can be done in just about any shape but for your wedding day, a heart-shaped bokeh just seems perfect.